Business cards are the first impression of your brand and, arguably, the most important direct marketing tool you have. A well-designed business card on high quality stock can go a long way when it comes to being memorable. We can design a custom business card that suits your needs or we can print a design you already have. We can also emboss, deboss, foil and varnish it in any way you choose. Design a business card that is distinct to you and the message you want to convey. 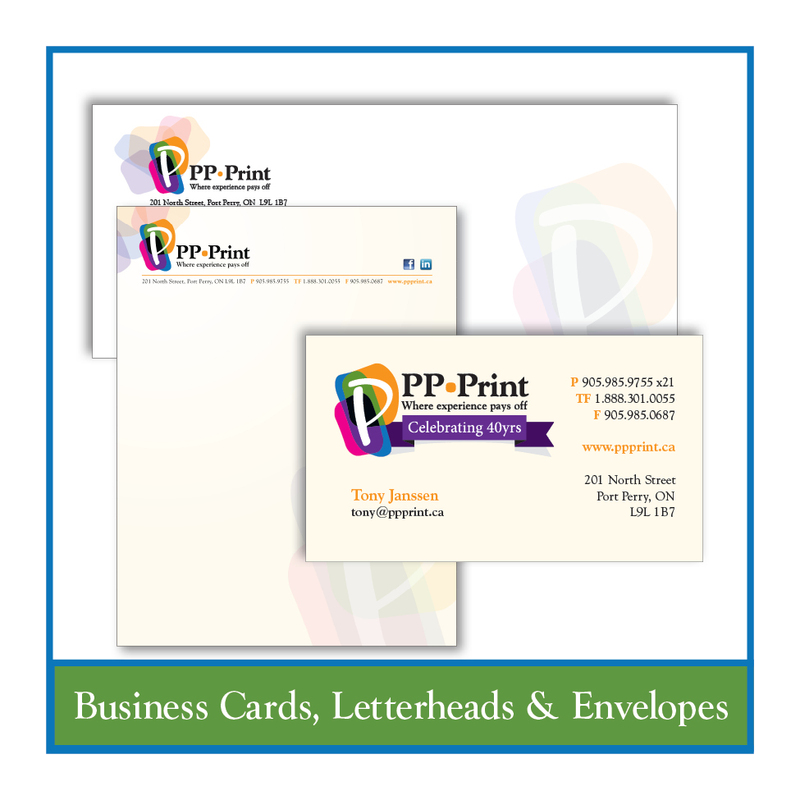 Letterheads that are branded with your logo or message are a great way to spice up your letters, invoices or estimates. We can customize your letterheads and envelopes to match, making your brand consistent throughout your marketing material. We have lots of great stocks to choose from and they can be printed full colour or black and white. Did you know that colourful envelopes get opened first? We have an array of envelopes for you to choose from.